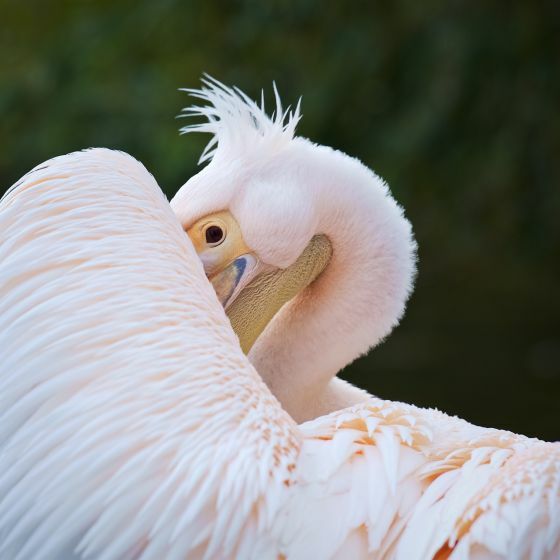 A snap of a pelican in St James’s Park peeping from behind its wing is the winning image in The Royal Parks’ first photo competition. The photo was one of nearly 350 snaps submitted by amateur photographers via the charity’s Facebook page, capturing life in The Royal Parks across four categories: Nature, People, Events and History & Heritage. Judges* from the charity, BBC Wildlife Magazine, The Serpentine Gallery and design agency, Greywolf Studios, picked the images they felt best reflected each category and then picked an overall winner. The winning picture of a pelican nestling its head behind a wing, submitted by Blue Popovic, was chosen for its eye-catching composition. Simon Richards, Head of Parks Operations at The Royal Parks, said: “This striking photo is a wonderful combination of wildlife and history, two of the things synonymous with the Royal Parks. Pelicans have been resident in St James’s Park since 1664. Not always seen as the most graceful creatures, here you can see the bird’s beautiful colouring and plumage. The winning photos will be on display at The Royal Parks Showcase event, to be held in Hyde Park between Tuesday July 10 and Thursday July 12 from 10am. People can also browse a selection of the photos on the charity’s web site, RoyalParks.org.uk. Richards added: “It’s no surprise that the Royal Parks are among the most snapped locations in the capital, providing the backdrop to the city’s magnificent cultural and natural heritage. “The entries have been impressive, capturing the very best of London – from the calm beauty of Bushy Park at sunset to the buzz of major sporting events – with a comical take on the rich variety of wildlife found across the 5,000 acres of green space. A sunset by The Diana Fountain in Bushy Park by Tim Davis won the ‘History & Heritage’ category, judged by Wesley Kerr OBE, Trustee of The Royal Parks. A humorous take on the wildlife living in Richmond Park’s Pen Ponds was the winning choice for the ‘People’ category, submitted by Steve Brenman and judged byJoseph Constable, Assistant Curator at The Serpentine Gallery. The ‘Events’ winning image showed a dramatic view of the Ride London eventby Ingrid Demaerschalk, portraying a queue of cyclists winding their way through Richmond Park. The category was judged by Mark Laing, Photographer at Greywolf Studios. The ‘Nature’ category winner was a dramatic action shot of a stag scooping up bracken – also taken at Richmond Park - byBartek Olszewski and judged by Sheena Harvey, Editor of BBC Wildlife Magazine.